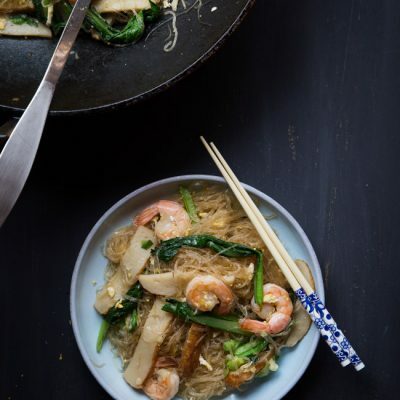 Soun Goreng (Bean Thread Noodles Stir-fry)- Bean thread noodles are stir-fried with seafood and sauce to make a totally delicious and easy one-pan meal perfect for any weekend or weeknight meal. 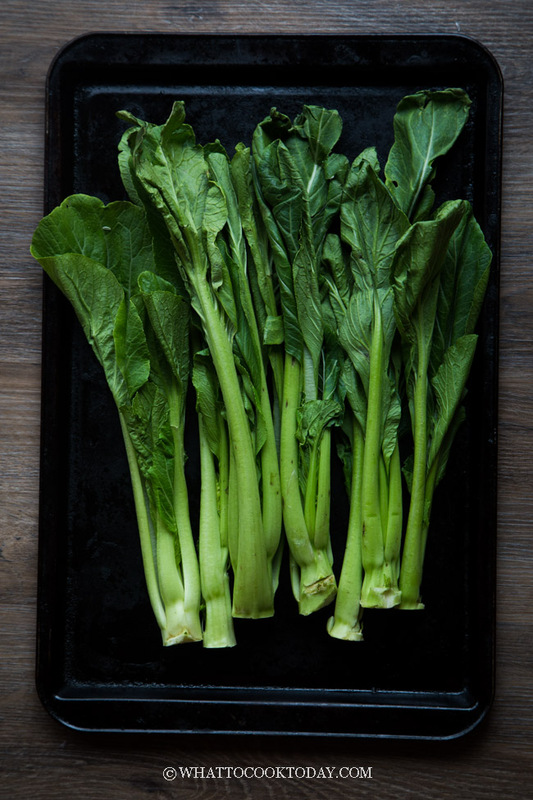 WHAT IS SOUN OR TANG HOON? Soun is made of mung bean starch, potato starch, sweet potato starch. 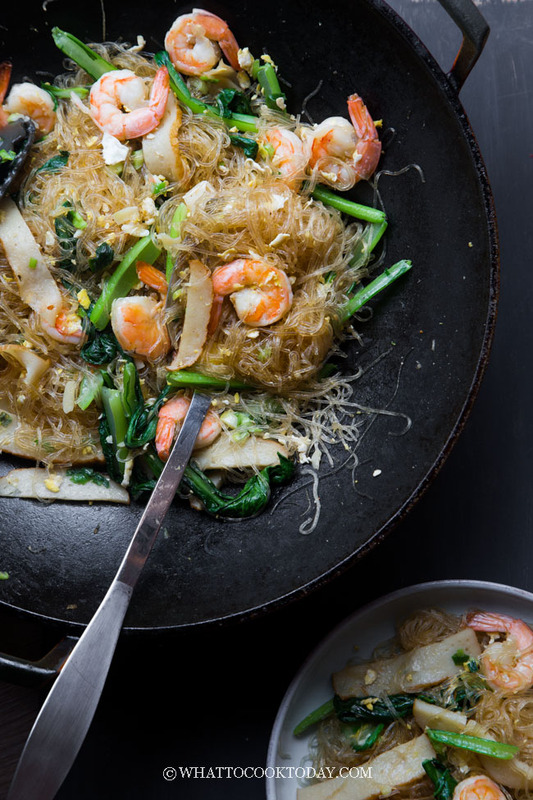 The noodles are usually thin and turn translucent once cooked. This noodle is known as soun among the native Indonesian and tang hoon (in Hokkien dialect) among the Indonesian Chinese. 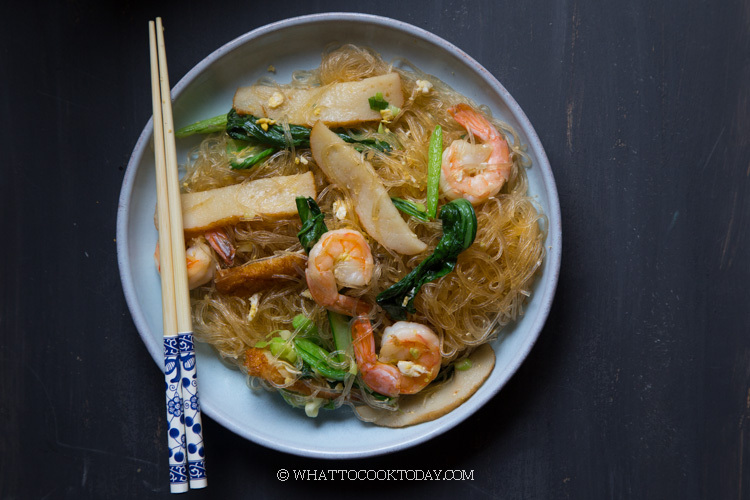 The English version is known as mung bean noodles, bean thread noodles, cellophane noodles, vermicelli noodles, crystal noodles, and glass noodles. At least these are the ones I often heard. They all mean the same noodles. Not exactly the same with the Korean cellophane noodles used to make jap chae, which is bigger in size. 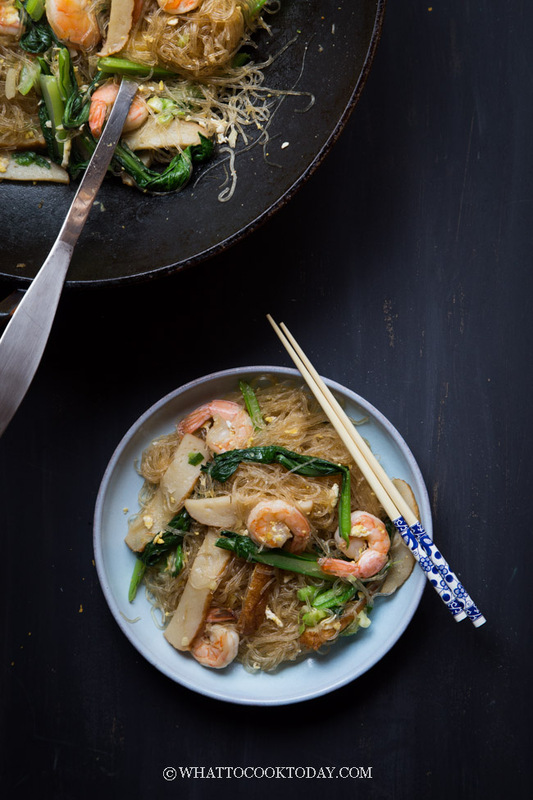 Although these noodles are also known as vermicelli, but don’t get them mixed up with rice vermicelli noodles. 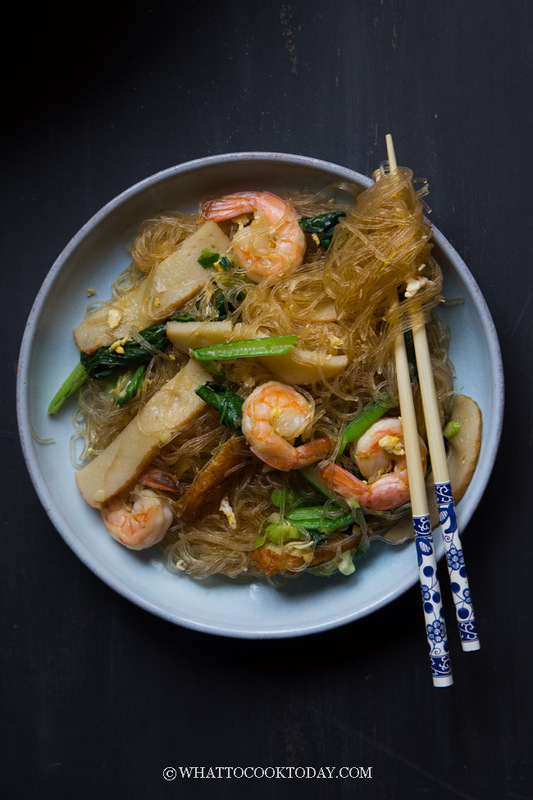 I know it can be confusing, but when one says vermicelli, usually it’s this cellophane noodle, unless you hear RICE vermicelli noodles. 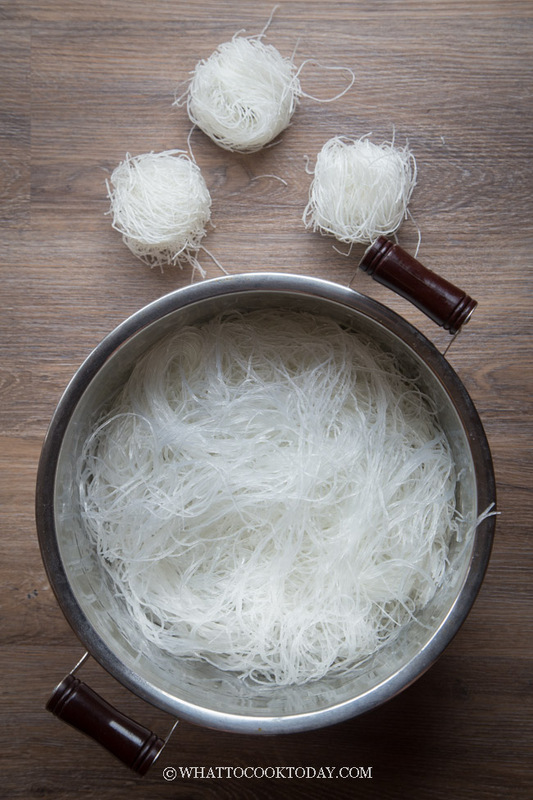 Rice vermicelli noodles are usually made with mainly rice flour and the noodles do not turn translucent onced cooked. Okay, now we get that out of the way, let’s talk about how you can easily whip this Soun Goreng or Fried Tang Hoon at home. This is one of my favorite meal from mom when I was a kid. She likes to cook it with seafood and so do I. You can use thinly sliced beef, pork, or chicken. Just follow instruction and sub the seafood with the meat. You can marinade the meat in a bit of soy sauce, sesame oil, and about 1/2 tsp of corn starch. Dish out to avoid overcooking the meat. This is applicable to pretty much any stir-fried noodles. Transfer the leftover to container and secure the lid. Leftover can be stored in the refrigerator for up to 5 days. You can reheat in the microwave for a minute or so or reheat on the stove using a skillet. Preheat the skillet/wok on high heat. Add a bit of oil in the skillet and then add the leftover noodles. 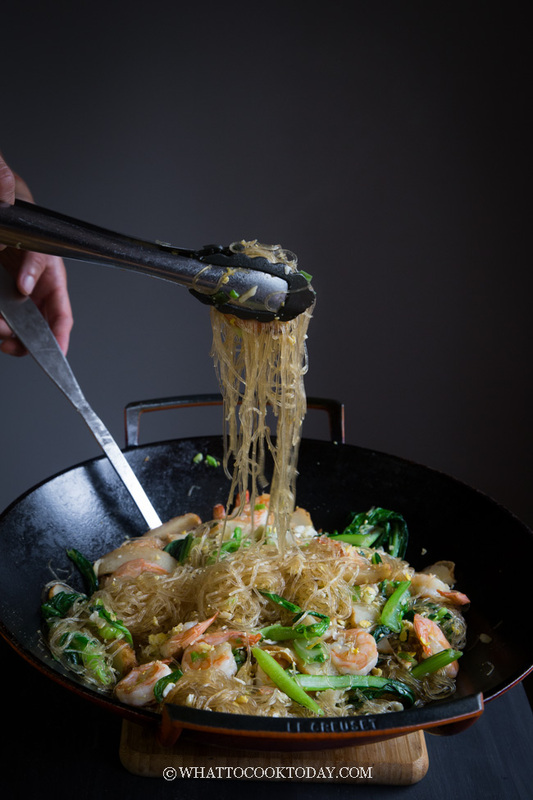 Gently stir around and then add about few spoonfuls of water liquid to help soften the noodles. Stir to mix and noodles are soften. Dish out and serve. 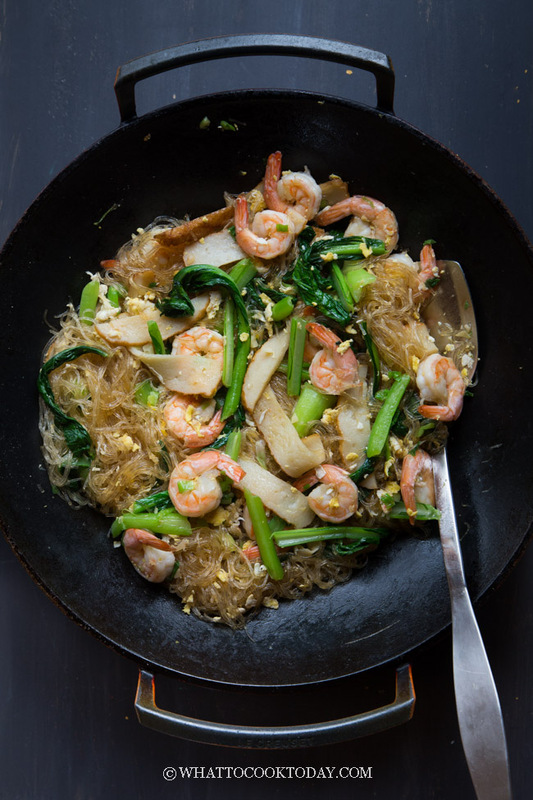 Do you have any of your favorite glass noodle recipe you like to share? Please fill me in! I’m always all ears!